Having the proper cutting machine and saw blades for Australian hardwoods ensures efficient processing of timber. Keeping the blades sharp means less waste. The flexing of the bandsaw blade causes the teeth to pull back and causes minute cracks in the gullet bottoms. Keeping the blades sharpened and gummed out keeps the cutting edge clean and removes fissures before they develop problems. Hardwood Mills Australia offers two types of wood bandsaw sharpeners. Our DINASAW Manual wood bandsaw sharpeners, used in conjunction with the automatic setting machine, will maintain your blades for optimum efficiency. It can sharpen blades from 19 to 90mm width with tooth pitches from 8 to 38mm. The unit is portable, so you are sure to keep your blades sharp from one job to the next. We also offer the DINASAW Fully automatic wood bandsaw sharpener. This one is also portable to keep your blades sharp from one job to the next. It can also sharpen blades from 19 to 90mm width with tooth pitches from 8 to 38mm. Both wood bandsaw sharpeners come with everything you need to keep your blades sharp and efficient. We strongly recommend using protective gear when operating these grinders. At a minimum, you should wear a safety visor and dust mask. 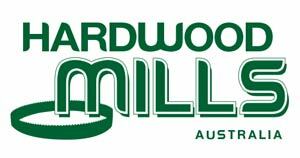 Harwood Mills Australia has over ten years of experience with Australian timber and offers the best products for timber cutting. Our friendly staff is ready to help keep your wood bandsaw machines running at maximum capacity, keeping you profitable. Contact us for more information on our wood bandsaw sharpeners.